Horizons At Seven Hills - Private backyard with no neighbors behind, stamped concrete patio and East facing so you can enjoy the outdoors. MLS#2090241. BHHS Nevada Properties. Large Covered Patio, Great Pool & Spa With Stacked Stone Accents. A Must See! MLS#2090403. BHHS Nevada Properties. *master Suite & 2nd Bedroom Suite Downstairs*two Large Bedrooms Upstairs W/ Jack & Jill Bath*huge 1/4 Acre Lot W/ Sparkling Pool, Covered Patio & Quaint Side Courtyard*downstairs Office With Custom Built-ins*chef's Kitchen With Slab Granite Counters, Custom Cabinets, Stainless Steel Appliances & Butler's Pantry*oversized 3-car Garage*upscale Resort-style Living! * MLS#2089560. Black & Cherry Real Estate. Provence Country Club - *Beautiful engineered wood flooring downstairs*Custom kitchen with exotic granite counter tops*Stainless Steel appliances with built in refrigerator*Owner added over $70,000 in upgrades last year*New HVAC system with variable speed downstairs*13K spent on exotic granite stones*13K spent on new Anderson windows*Sink with Touch-Free Automatic Sensor Faucet MLS#2089240. Keller Williams Southern Nevada. Provence Country Club - Covered patio, built in BBQ and Fire pit with custom stone and granite. Move in ready! MLS#2090418. Signature Real Estate Group. Canyons - This home is part of Lennar’s signature Everything’s Included program that features green technology, home automation and much more! MLS#2090404. Lennar Sales Corp.
Sun City Anthem - Great community plays host to many amenities. MLS#2090201. Resolution Realty. Easy care landscaped private back yard with covered paver patio that extends to beautiful Pergola! MLS#2086614. Signature Gallery Of Homes. Backyard features a covered patio, built in BBQ area and spa! MLS#2090553. Signature Real Estate Group. Horizons At Seven Hills - Better Act Fast...It Won'T Last Long! MLS#2090605. Realty ONE Group, Inc.
Foothills South - Pride of ownership is evident in every aspect of this home. MLS#2089984. Keller Williams Market Place. Champion Village - Ceiling fans in all of the bedrooms. Beautiful low maintenance desert landscaping. MLS#2090661. Principle Realty Advisors. Plus all the wonderful amenities that go with Sun City Anthem. MLS#2090528. Urban Nest Realty. Solar is paid off! Power is less than 15/month. MLS#2090513. Signature Real Estate Group. Sun City Anthem - Shutters throughout the home as well. MLS#2090329. Blackstone Realty & PM. Open Floor Plan, Which Includes Separate Living/Family Rooms***fireplace In Family Room***dining Area***spacious Kitchen With Island & Pantry***office Area Off Of Kitchen/Laundry Room With Built-in Desk/Cabinets***3 Bedrooms + 2.5 Baths***loft***ceiling Fans Throughout***large Master Bedroom W/ Walk-in Closet***covered Patio***mountain Views***furnishings/Artwork Can Stay MLS#2090481. Simply Vegas. Oakwood - Just in time for summer~Beautiful home in the heart of Green Valley featuring 3 bedrooms, 3 bathrooms, Den/Office and an entertainers dream of a backyard, covered patio, garden area and a dog run~Kitchen has granite counter tops, Tile floors lower floor, stainless steel appliances~Good sized master bedroom upstairs with walk in closet,dbl sinks and a sitting area~Loft along with 2 other secondary bedrooms upstairs as well~All appliances included. MLS#2090443. Evolve Realty. Horizon Heights - Get it before it's gone! MLS#2090400. eXp Realty. 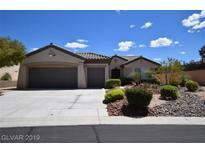 Sunset Village Henderson - Close to Roseman University and Ethel M. MLS#2090114. Wardley Real Estate. Paradise Coach Resorts - Near Nevada State College and walking trails, and close to Boulder City/Lake Mead. MLS#2090398. THE Brokerage A RE Firm. Green Valley Ranch - ROOM for RV PARKING! NEAR GVR RESORT/ THE DISTRICT! MLS#2089988. Realty ONE Group, Inc.
River Ridge - Brand new custom cabinets, flooring, quartz counters, Jenn-air appliances, lighting/plumbing fixtures, bathrooms, big screen TV's, audio throughout, 20' disappearing glass door in family room. MLS#2090296. Simply Vegas. Horizons At Seven Hills - Large master bedroom with luxurious en suite bath. Plantation shutter too! Perfect. MLS#2090309. Wardley Real Estate. Community offers 3 parks and easy access to trails. MLS#2090110. Elite Realty. Inverness - *beautiful Henderson Home W/ 4 Bed, 3.5 Bath, 3 Car Garage, Pool, Spa & Waterfall *vaulted Ceiling & Screen Doors For All Windows *stainless Steel Refrigerator, Granite Counter Tops & Island At Kitchen *marble Flooring At Downstairs, Bathroom & Closet *berber Carpet In Stairs & Upstairs *ceiling Fan/Light All Bedrooms *mirrored Doors At Master, 3rd & 4th Bedroom *3 Thermostats Control Air Separately *big Lot (9,583 Sqft) MLS#2089543. Realty ONE Group, Inc.